If you thought that we were celebrating our independence on the day that the Continental Congress signed the Declaration of Independence, you would be wrong. The delegates signed the Declaration of Independence on August 2nd. The Continental Congress voted to declare independence on July 2nd. 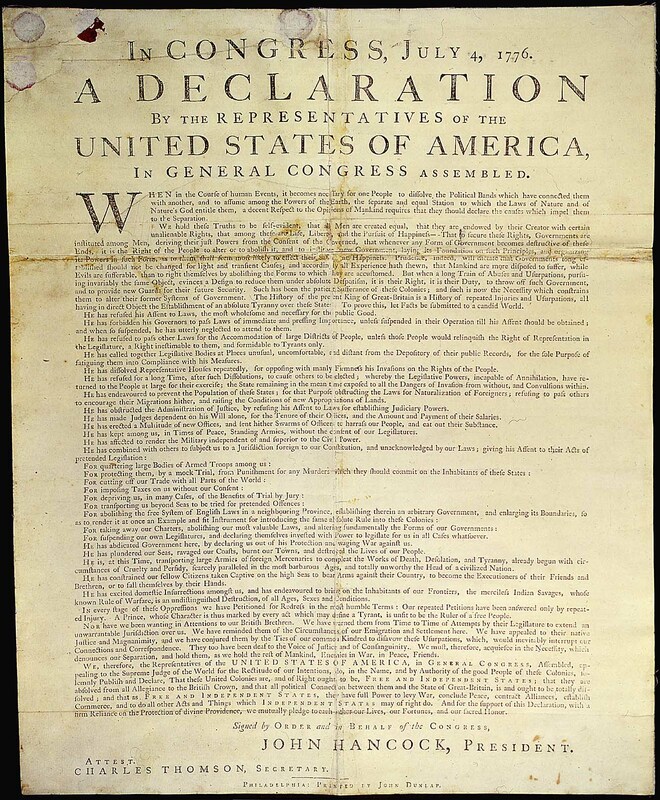 The committee only approved the final draft of the Declaration of Independence on July 4th. Therefore, when the printer printed the Declaration of Independence, he affixed “In CONGRESS, July 4, 1776”. From 1776 until 1789, the States were governed by the Articles of Confederation. In 1787 the U.S. Constitution was created. In 1788 the Constitutions was ratified. In 1789 the Constitution was put into effect. This is why George Washington is the first President of the United States of America, not John Hanson. Technically if we were to include the Presidents under the Articles of Confederation, George Washington would have been our 9th President. Independence Day was made an official national holiday in 1870. Within the same bill, Christmas was also recognized as a national holiday.